For those who know how to do it properly, winter camping can be a fun and rewarding experience. Aside from the gorgeous, snowy views and solitude at the campsite, a successful winter camp often brings a true sense of accomplishment. After all, not every camper can tough it out when pitted against everything that Old Man Winter throws at them. 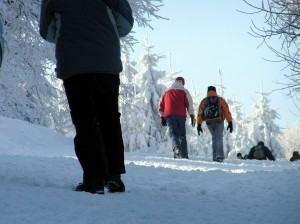 Of course, there are some guidelines every winter camper should know and follow to avoid having their trip cut short. First and foremost, the key to staying warm and comfortable in even the most inhospitable winter elements is dress. The general rule of thumb – no matter how resistant to cold weather you believe you are – is to pack much more than you think is needed. You’re going to want plenty of long underwear, several changes of socks (preferably wool), and layer upon layer of pants and shirts. To top it all off, invest in a high quality, wind resistant winter coat and water resistant boots. When that first nightfall comes and the bone-chilling cold sets in, you’ll be very thankful you did. Similarly, having extra clothes can be a lifesaver in unexpected situations. If you decide to go on a hike and end up with wet clothes, for instance, you’ll want to change out of them as quickly as possible. 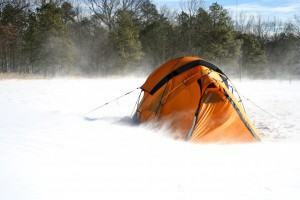 The second essential aspect of winter camping to consider is your shelter. The old tent that’s been sitting in your garage for years may not hold up against biting winds and snowfall. Fortunately, winterized tents built specifically to handle cold climates are available at reasonable prices from most outdoor retailers. Additionally, a simple sleeping bag may not be enough for the coldest of nights. Sleeping bag pads are generally a wise idea, as they will help to absorb some of the cold being emitted from the ground before it gets to you. It’s important to note, though, that all this equipment will do you little good if you set up the tent in the wrong spot. Though a hollow or valley may help to shield your tent from the wind, it’s more likely to end up sitting in water if snow or rain is in the forecast. Likewise, finding a flat clearing under heavy tree cover is ideal, as they will act as both shields from precipitation and effective wind blockers. This, of course, leaves one thing left to remember – food. Unless you’re a pro ice fisherman, you’re going to need to bring plenty of nutritional, high-calorie food items to keep your body’s fuel gauge full during your winter camp. Quick, simple meals and snacks are recommended. Food items such as trail mix, peanut butter, bread, and jerky are recommended. They are high in caloric content, and most importantly can be whipped up or grabbed quickly in order to minimize the time your bare hands are exposed. If you’re the type who likes to make food over an open fire, that’s great too. Just make sure you have the above items as a backup if, for instance, it’s snowing and there’s no chance of getting a fire started. 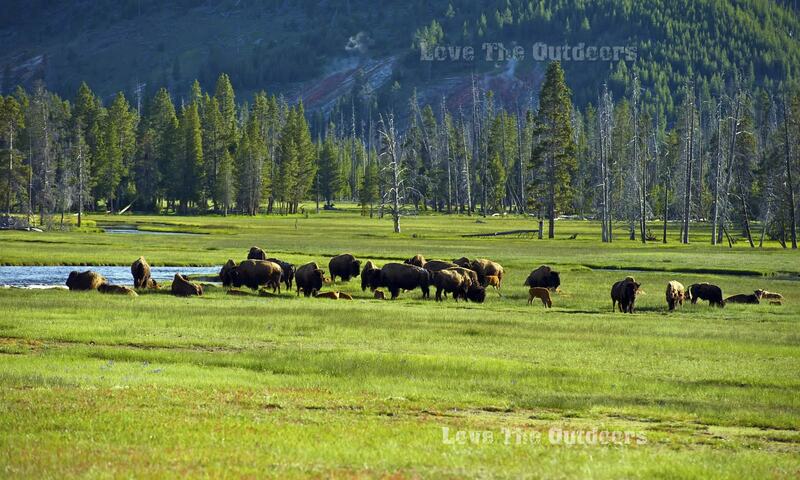 With your clothing, shelter, and food in line, you are all set to hit the woods for a great winter camping trip. With a little extra planning and the above precautionary measures, you can count yourself among those who really know how to camp in the winter. While other cold and miserable families may be packing up and going home just hours after they reach their camping destination, yours will be warm and comfortable the whole trip through. CategoriesCamping Ideas Tags"Camp" "Winter" "How to" "Cold" "Camping" "Outdoors"